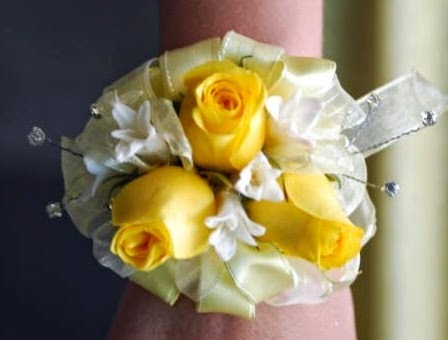 We love to use the little individual blooms in corsages. Since they are a specialty spring flower, they are only available from mid January to the latter part of May. We use them as accent flowers..
Little white blooms accenting the roses. threaded onto thin silver bullion wire. Both flowers equally important. 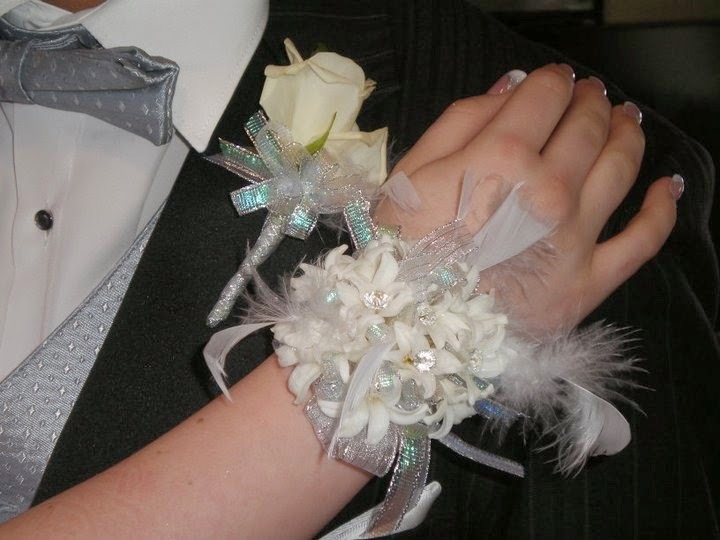 as the focal flower in this all white corsage. 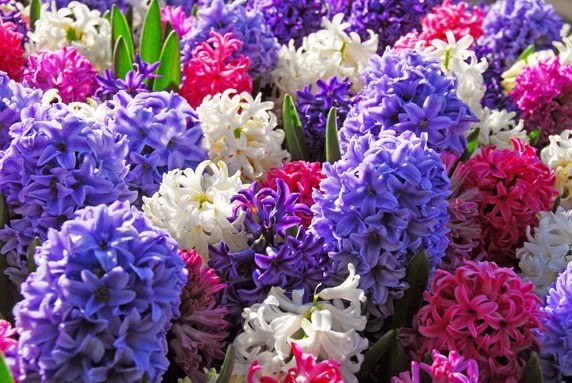 Hyacinths are available in a range of cool colors..
from a pretty grape purple to rich raspberry and all the lighter tones in between, including white.